As my year as a debut author comes to a close, it's fun to reflect on how much I've learned about writing and the publishing business. I wouldn't give it up for anything. In late 2012 I signed a contract to publish two ebooks with Carina Press, the digital imprint of Harlequin. The first book, MISTRESS OF FORTUNE, came out in February 2014 and the second, MISTRESS OF LIES (which I spent most of 2013 writing), came out in September 2014. I absolutely loved the process of editing a book with a professional editor--I'd done it with a freelance editor (also a pro) before I got the deal to publish MISTRESS OF FORTUNE, but working with an editor in the publishing house was even better. It gave me confidence about my writing. 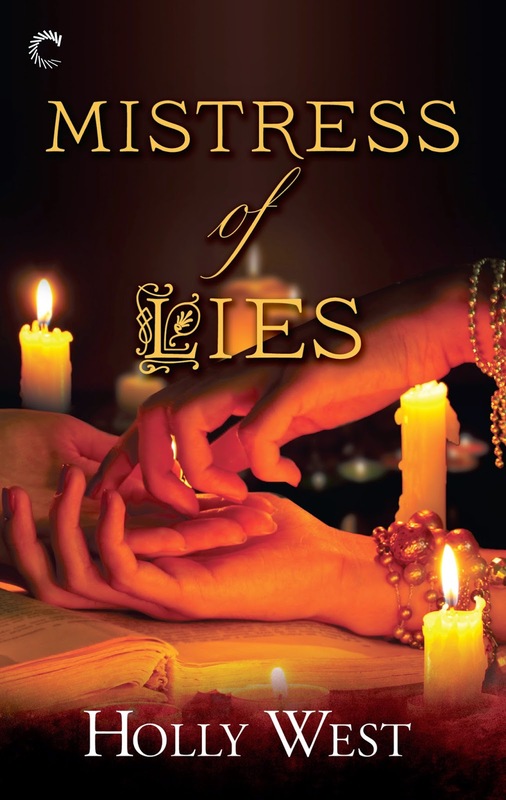 For example, when I turned in MISTRESS OF LIES in November 2013, I knew it was a good story, but I hadn't had nearly the same amount of time I'd had with MISTRESS OF FORTUNE to edit it on my own. I was terrified my editor would say something to the effect of "you're kidding me with this, aren't you?" But no. She loved the book and while she had a few developmental edits to suggest, overall the book I turned in is very close to the book that got published. It felt good knowing I could write a book worthy of publishing in less than a year. 1) I decided to take the deal with Carina Press because Harlequin is a large publisher and I thought it was possible they could position my books--even without a print version--better than a smaller imprint. But now, I'm wondering if that's true. Carina Press publishes a variety of genres but they're not as well-known for their historical mysteries (or even their mysteries) as they are romance. Furthermore, the crime fiction community has still not fully embraced ebooks and having only ebooks available left many doors closed to me. Would I have been better off with a smaller publisher if I could've gone into print? I honestly believe that I would've been, though it must be said that I didn't have such a deal on offer at the time. 2) Ultimately, should I have self-published? There's no question that having a "traditional" publishing deal was good for me in a couple of ways. First, it allowed me to learn about the publishing business and the way it works. I really wanted that with my first go around as an author. Second, it did give me a little more credibility (perhaps this credibility is only perceived by me at this point). Still, at the end of the day, I've published two books with a major publisher and that feels good. However, given the fact that my sales are not great, does it even matter that I was published "traditionally?" If I had self-published, I would've retained all of my rights, I would've had control over the whole process, and I could dictate how I wanted to proceed with the series. Yes, I know some of the same doors that were closed to me as an ebook author would still be closed if I self-published, but damn it, I would have control over everything. I feel like I have none of it now. I signed away my print rights when I took the deal with Carina. It is very unlikely that those rights will ever be exploited. I knew this going in but when I signed the deal this somehow had less significance. Now it kind of bugs me. There's no way to know what the outcome would've been and there's no going back in time to un-sign the contract, so I try not to dwell on it. Either way, I'm proud of what I've achieved. I really am. When I signed my contract with Carina, I did so with the confidence that this would be my first book deal. If I made mistakes, that was okay. And I did make mistakes. But I went into this with the understanding that this was my chance to learn about the industry and to learn something about myself as a writer. I enjoyed working with Carina Press because their staff, especially my editor, are great. As this year draws to a close, I there are still those lingering questions. But I'm not sure I'd change anything, even if I could. Mostly, I'm just proud and happy to have had this experience.